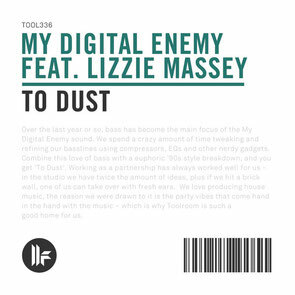 A name normally associated with energetic house music, My Digital Enemy present their new release ‘To Dust’, featuring the vocal talents of Lizzie Massey. With their distinctive bass sound and driving groove, My Digital Enemy have likely created another track for the dancefloor and airwaves. It’ s out now, check it out below.